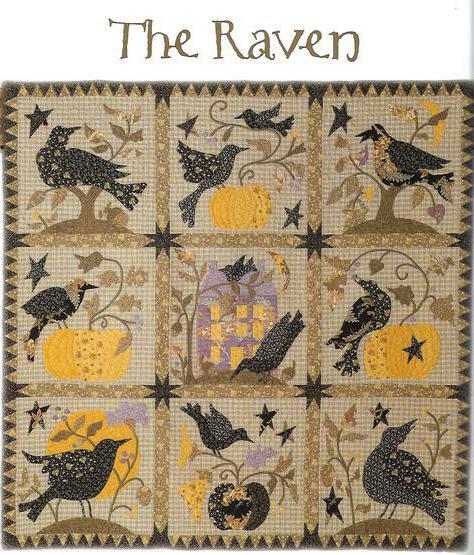 THE RAVEN by Blackbird Designs 68" X 68"
​This wonderful quilt is so much fun to make. A must for avid appliquers. It could be made in any technique. This quilt is my version and these are the fabrics included in the kit.